The sliding block puzzle gets a spinoff that lets you combine pokemon rather than numbers. It seems that Pokemon can work their way into just about anything these days, and now there's one more example making the rounds online. We've got Pokemon strategy games, Pokemon AR games, even Pokemon Tekken. If you're a fan of sliding block puzzles like 2048 and Threes and the like, but are getting tired of combining numbers, then you can now have a go at Pokemon 2048 as well. Essentially the same premise as its namesake, Pokemon 2048 has you sliding and combining pokemon. They merge based on their pokedex number, so two Ivysaurs will create a Charmander, which create Wartortle, and so on, with the ultimate goal of creating Mewtwo. The math may not quite add up — if you'll excuse the pun — with Mewtwo techinically being 150, but it's a fun little time waster. 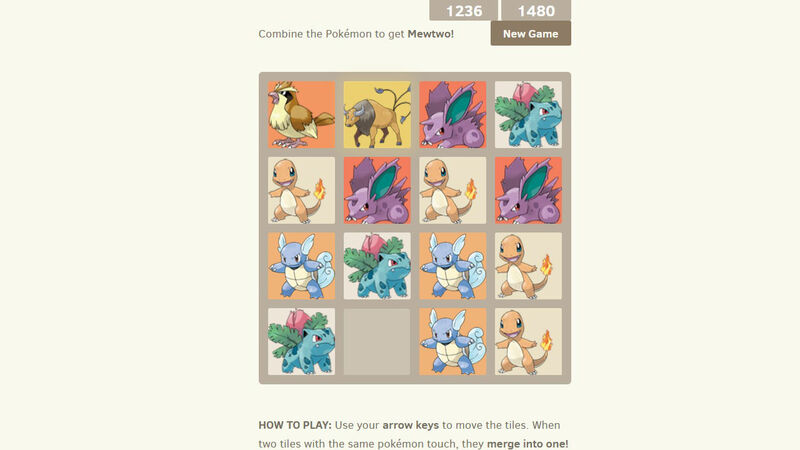 You can play Pokemon 2048 in your browser for free, so give it a go if you've got a couple minutes to spare.